I was going to write one of those going back to work blogs too, but the beginning of the year slipped quietly and suddenly I realised it’s March! Hopefully all of you have returned back to work by now, motivated!! I do want to write about work spaces and home offices though. For me it’s topical. I decided to move my own desk temporarily to the bedroom, because the light and outlook are so much better there. The drawback is that my storage is still down in the office and I need to run back and forth a lot. Note: It’s quite obvious that the desk never looks this neat in real life when I work on it. And I even had to clean the windows for the photo. Luckily Armadillo & Co. trade sale was on just last week. I bought a nice rug for under the chair to protect the wooden floors. Talking of perfect timing! Did you see that wooden mouse? Last week I also realised that my animal allergy has extended to cover computer mice, too, and apparently the cure would be to change the plastic skin-poisoning mouse to a wooden one. I got this cute little bamboo one. It is super stylish and does its two intended purposes very well, I’m happy to report. Look at the little mouse sleeping on the soft rug here. This picture sums up my favourite elements for a home office decoration: wood, wool, black powdercoated metal, leather and native flowers. 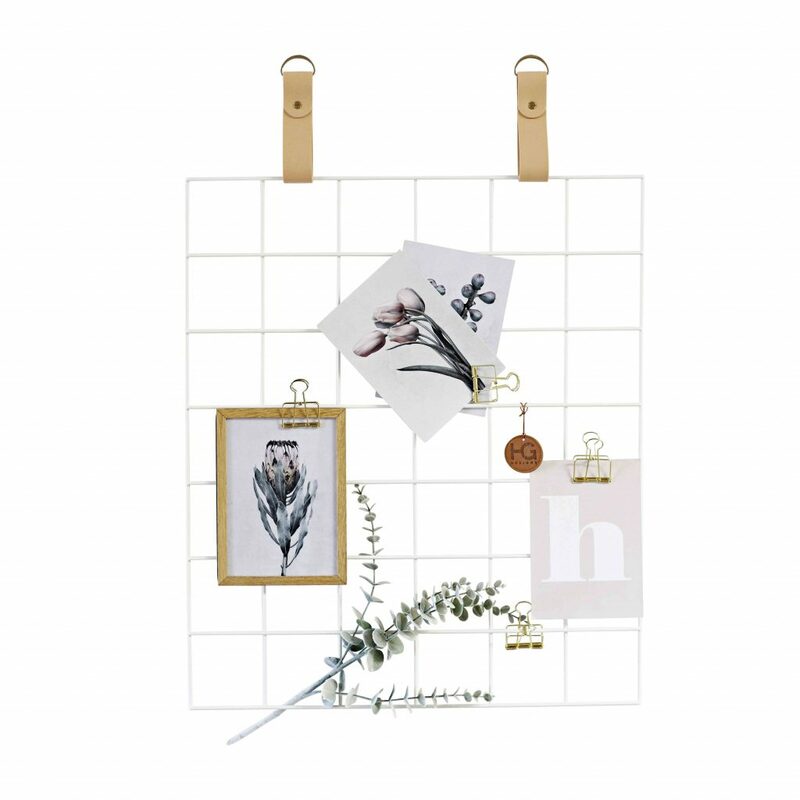 Now, if I had brought any wall space along with my desk, I could move these H&G Design moodboard grids to my new study-away-from-study. I have a pair of them with gold butterfly clips, which look fantastic. You can buy yours from here (yes I’m affiliate, use code SM01 to be able to buy from the collection). 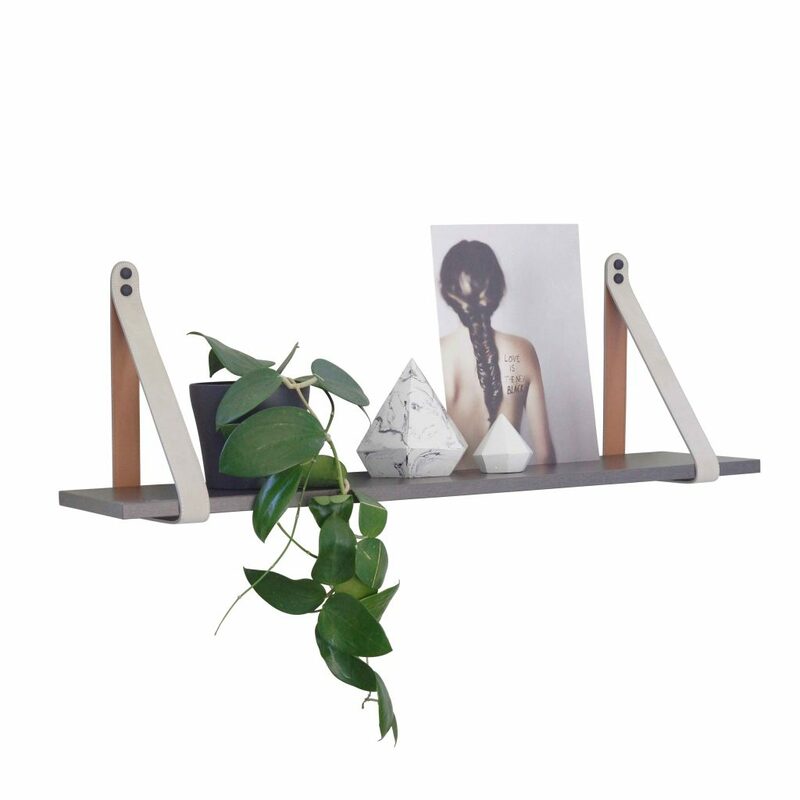 And while at it, these leather strap shelves would look perfectly in place in any office. 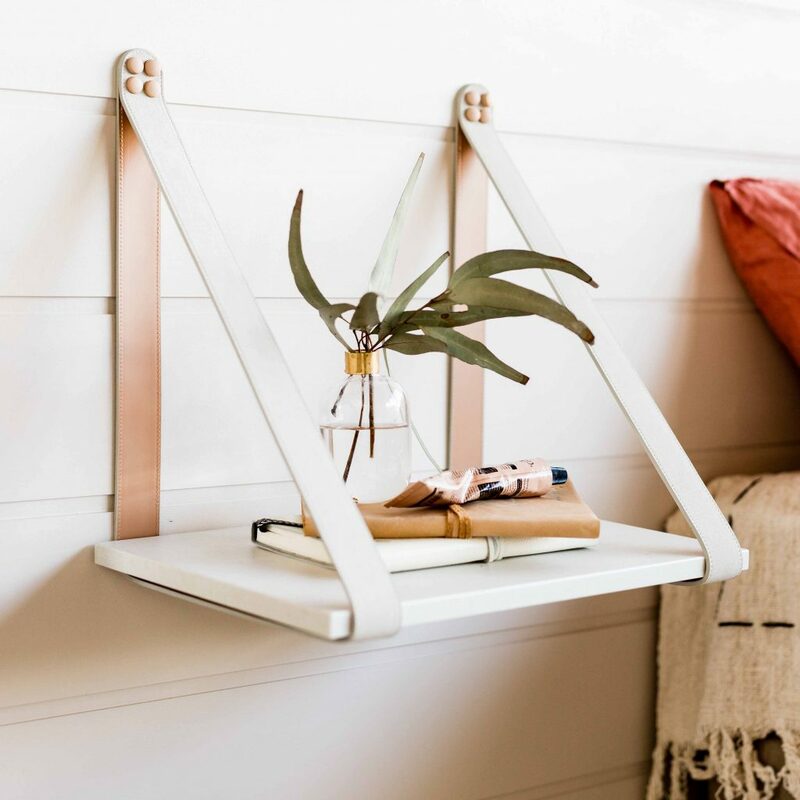 Style them with a bit of greenery, photo frame, a couple of books and a candle. They come in various sizes and look good mixed up. I will post soon photos of a massive family home office decoration with five desks. Meanwhile, get back to work everybody! Please get in touch if you’d like some help to decorate your room!